Ignacio Aguero - An award-winning filmmaker, writer, and producer. He remained in Chile during the entire period of the dictatorship making independent documentary films. 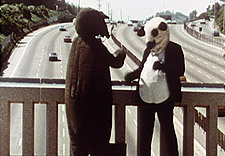 Alice Arnold - A non-fiction filmmaker and an educator, her films and photography work explore the urban environment and visual culture. 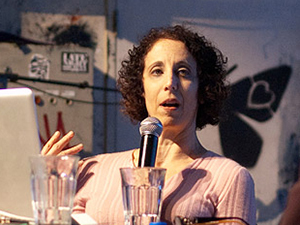 Nurith Aviv - Having worked on about 100 films, both fiction and documentaries, Film Journal International has hailed her as "Innovative and daring." Natalie Bookchin - Natalie Bookchin explores the effects of digital technologies and examines the ways in which people broadcast self-expression on the internet in a sharing economy. Hartmut Bitomsky - Former film critic and editor of Germany's famous film magazine Filmkritik, Hartmut Bitomsky has produced more than forty critically-acclaimed, award-winning documentary films over the last thirty years. Nancy Buirski - Director, producer and curator Nancy Buirski is the founder and was the director of the Full Frame Documentary Film Festival for ten years. Noel Burch - A filmmaker and film theorist, he published The Theory of Film Practice, a book that coined or established many of the terms that would come to dominate university Film Studies. Olivia L. Carrescia - Olivia L. Carrescia has worked as a researcher, producer and editor for the past 25 years in the US and Europe. Her award-winning Mayan trilogy (Todos Santos Cuchumatan and The Survivors, and Mayan Voices: American Lives) has been distributed internationally and is now available for the first time on one DVD. Raymond Depardon - Raymond Depardon is a celebrated photographer, photojournalist, and documentary filmmaker. 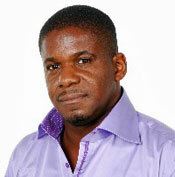 A prolific artist, he has so far directed 20 feature-length films and published over 50 books. 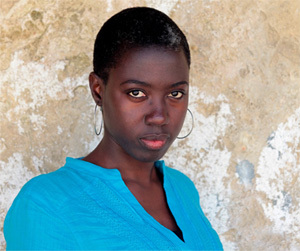 Angèle Diabang - The Senegalese-born filmmaker who trained in her country, as well as in Germany and France, started her own production company, Karoninka. Jihan el-Tahri - An Egyptian-born, French filmmaker, author and news correspondent, el-Tahris films include the Emmy-nominated House of Saud, The Price of Aid and most recently, Behind the Rainbow. Elizabeth Fernea - A writer and filmmaker whose work focused on the Middle East, particularly women and the family. 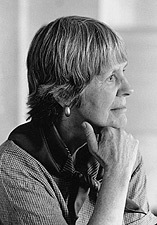 She was Professor of English and Middle Eastern Studies at the University of Texas at Austin, where she taught for 25 years and was one of the founders of the Women's Studies program. Maren Grainger-Monsen -A physician and award-winning filmmaker, who is currently Filmmaker in Residence and Director of the Program in Bioethics and Film at the Stanford University Center for Biomedical Ethics. Patricio Guzmán - The acclaimed Chilean director of the masterpiece The Battle of Chile, whose newest film Nostalgia for the Light has just been released. Pirjo Honkasalo - Finnish director and cinematographer Pirjo Honkasalo has directed, written and worked as a cinematographer for award-winning documentaries and feature films for over 25 years. Shôhei Imamura - The only Japanese director to twice win the Palme dOr at the Cannes Film Festival. 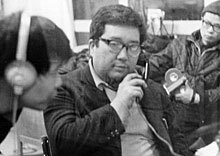 Shôhei Imamura has been described by The New York Times as "one of the most significant Japanese filmmakers of the postwar generation." 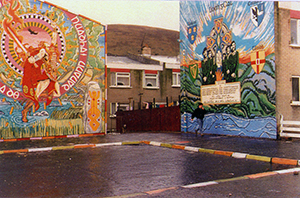 Arthur MacCaig - An American of Irish descent and founder of DATHANNA, an independent production company, MacCaig directed and produced documentary films since 1978, including the award-winning A Song for Ireland and The Patriot Game. Djo Tunda Wa Munga - Founder of the Democratic Republic of Congos first production company, Suka Productions!, director/producer Djo Tunda Wa Mungas films include State of Mind, Viva Riva!, and Congo in Four Acts. Eugenio Polgovsky - In 2004 Polgovsky received Mexicos National Youth Prize. His new documentary, The Inheritors, produced with support of the Hubert Bals Fund and Visions Sud Est had its world premier at the 65th Venice Film Festival. Helga Reidemeister - Reidemeisters award-winning films reveal the balance of power within society that determines the lives of individuals, especially those of women. 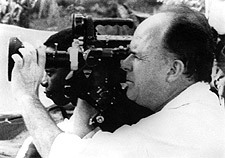 Jean Rouch - The father of cinéma vérité (Chronicle of a Summer), a key figure in the Cinémathèque Française, and founding director of the Comité du film ethnographique at the Musée de l'Homme. Shelley Saywell - Writer and director of independent international documentaries that have been critically acclaimed and honored with many awards, including an Emmy for Crimes of Honour. Daniel Schmid - Filmmaker and director of operas at the Zurich Opera House and the Grand Theatre Geneva, he was awarded an Honorary Leopard at the Locarno Film Festival. Yuka Sekiguchi - The films of Yuka Sekiguchi revolve around a search for Japanese identity, as seen from both Japanese and international perspectives. Allan Sekula - Photographer, theorist and filmmaker whose work frequently focuses on large economic systems, or "the imaginary and material geographies of the advanced capitalist world." Lisanne Skyler - As native New Yorker, Lisanne Skyler is a prolific writer and director of both fiction and nonfiction films, and currently a Professor of Film Studies at the University of Arizona. J. P. Sniadecki - J.P. Sniadecki is a filmmaker and media anthropologist whose work explores collective experience, sensory ethnography, and the possibilities of cinema. He teaches at Northwestern University. Pema Tseden - Widely recognized as the leading filmmaker of a newly emerging Tibetan cinema and the first director in China to film his movies entirely in the Tibetan language. Susan Vogel - Professor of African Art and Architecture at Columbia University, Founder of the Museum for African Art in New York, and winner of the Herskovits Prize, the African Studies Association's highest honor for a book of original research on Africa. Christopher Walker - A producer, director and associate producer of over 20 documentaries, his most recent film, The Dreamers of Arnhem Land, is the remarkable story of two Aboriginal elders who set out to save their community from cultural extinction. 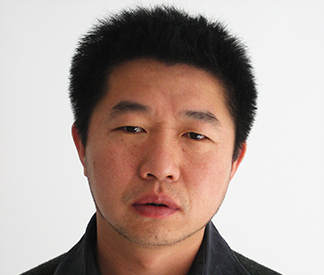 Wang Bing - Born in Shaanxi, Wang Bing has been a leading documentary filmmaker of the burgeoning independent documentary scene in China over the last decade. Shuibo Wang - 2006 Guggenheim Fellow, former member of China's Red Guard during the Cultural Revolution, Oscar Nominated director of Sunrise Over Tiananmen Square and the award-winning new release They Chose China. Ilan Ziv - Director of documentaries dealing broadly with issues of human rights, the Palestinian-Israeli conflict, and investigations of contemporary history.